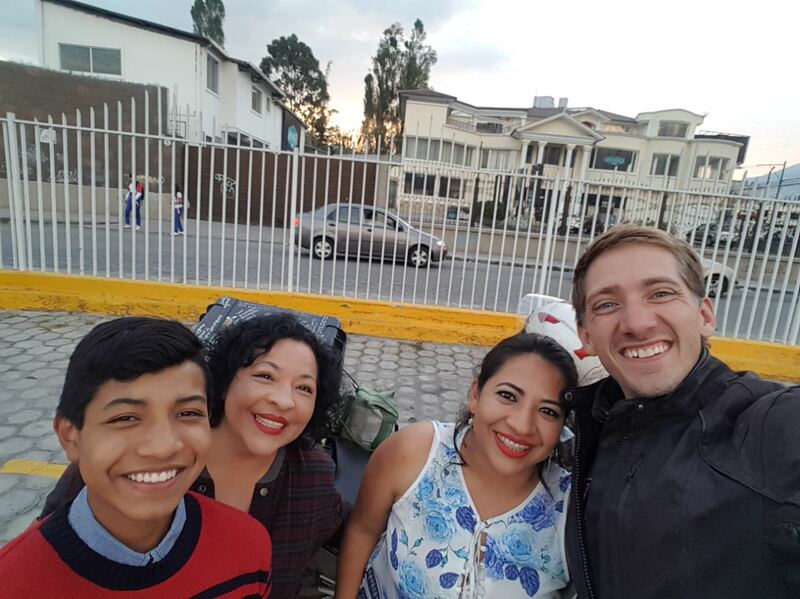 We begin our time in Ecuador by being adopted by a new family. I’m pretty sure it’s official, as they even took me to get my rabies shots. Realtime update: It’s been awhile, so I’m going to lead with this. I’m pretty much on vacation right now. A number of events have conspired to make this a strange chapter of my journey. Between March 22nd and May 2nd, I will only be making about 1,300 miles of tangible progress. 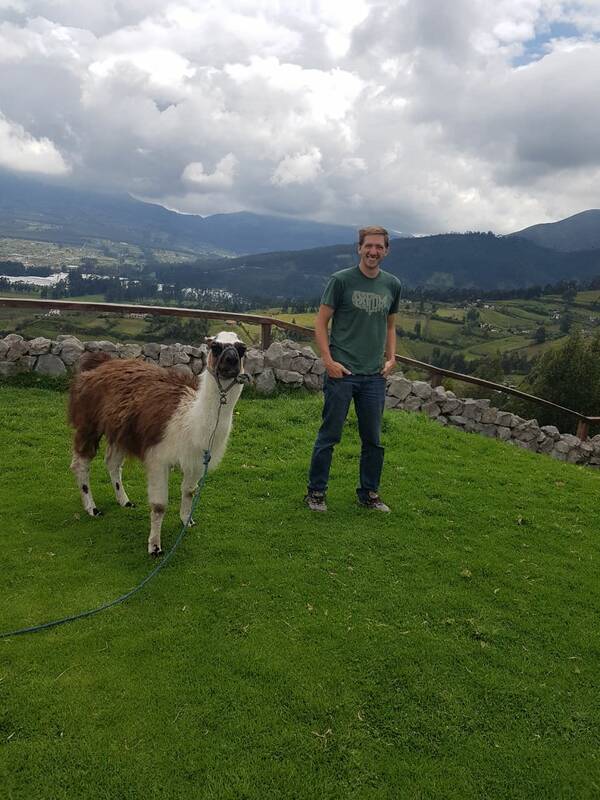 There are three main reasons: An extended stay in Ecuador, flying to Peru to meet up with my family, flying back to Nebraska for a friend’s wedding. I’m needing to catch back up on this account. Due to time constraints I will probably be more brief than normal, mostly departing from the day by day narrative. I feel a bit overwhelmed being so far behind, but I know I need to log my happenings before they are out of my mind. I hope to keep the quality up while I’m doing this. I’m currently sitting in Macara, Ecuador, right on the border with Peru. 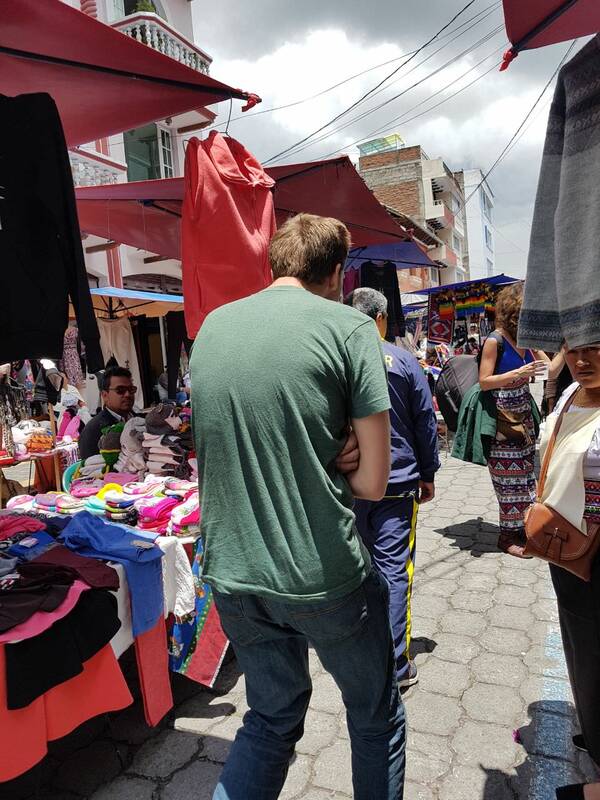 I will be buzzing down to Lima fairly quickly to catch my flight back to Nebraska on the 20th. Alright…I need to back up a bit. To be adopted by a new family always takes some history. I guess the story starts with my Uncle Arden from Saskatchewan. Visiting his family, for my cousin’s graduation, happened on just the third day of this journey. It was my first real stop. 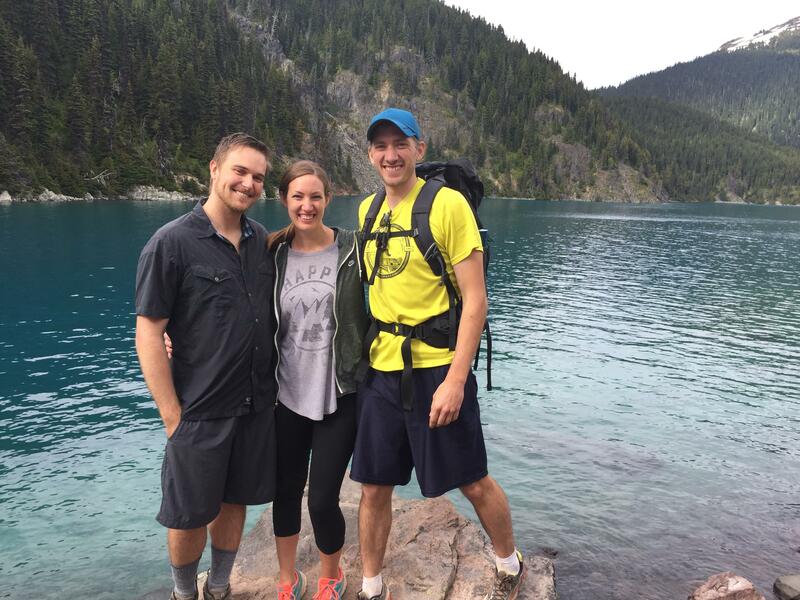 He has taken multiple mission trips to Ecuador and knows some people there. But wait! There’s more to the story. 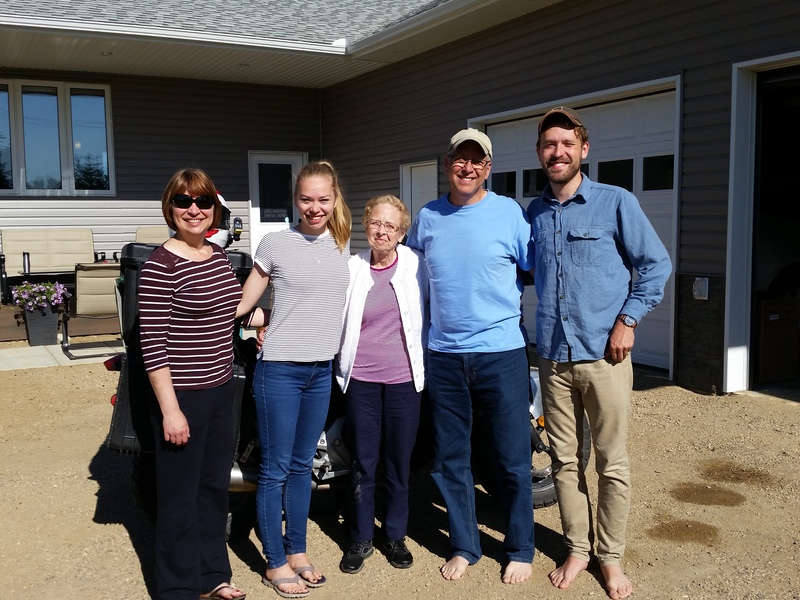 “We know our relationship with Pamela was God given, especially by how the connection was made: Uncle Arden is a pastor in Saskatchewan and has led multiple mission trips to Ecuador. A woman named Maria has been a translator for him on these trips and she knows Pamela from church. When Maria (in Ecuador) found out that Pamela was stranded at the airport, she called the one person she knew in Canada (Uncle Arden in Saskatchewan) to see if he knew anybody in Vancouver! Brad and I had just moved to Vancouver about 9 months before this. Brad and I had been praying for a week that God would use us to be a blessing to someone, and we got that opportunity after a call from Uncle Arden on that following Saturday night. He said he had a really random favor to ask of us – there was an 18 year old girl from Ecuador stranded at the Vancouver airport and needed a ride and a place to stay for the night. Brad and I knew this was the opportunity we’d been praying for, so we gladly went to pick up Pamela! Being her first time out of the country, she was not super confident in her English skills yet. 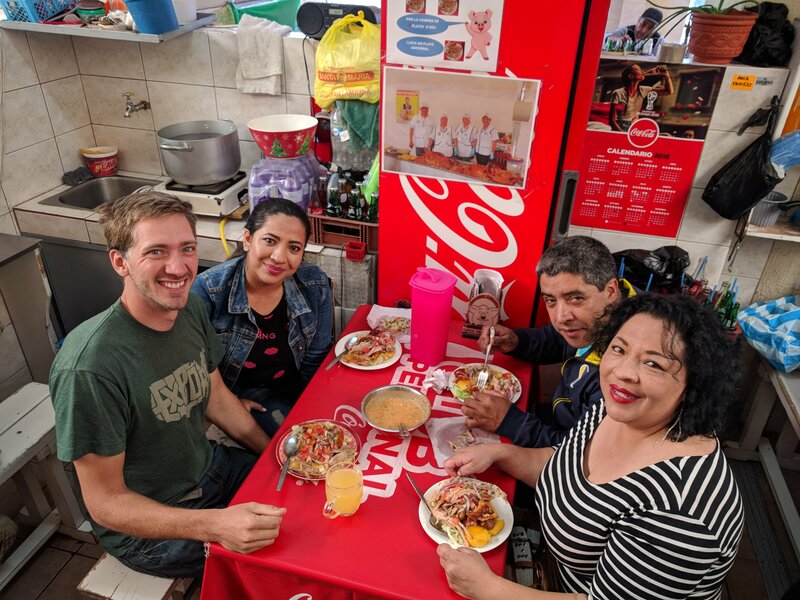 Thankfully, Brad is fluent in Spanish so we were able to put her mind at ease with being able to communicate easily and help her figure out how to get settled in Canada. Pamela arrived to Vancouver 6 months ago and we have spent nearly every Sunday with her since. She has become so very special to us! She is so sweet, loving, fun, and full of faith & laughter! We’ve cherished our 6 months together and we are going to miss her so much when she leaves! 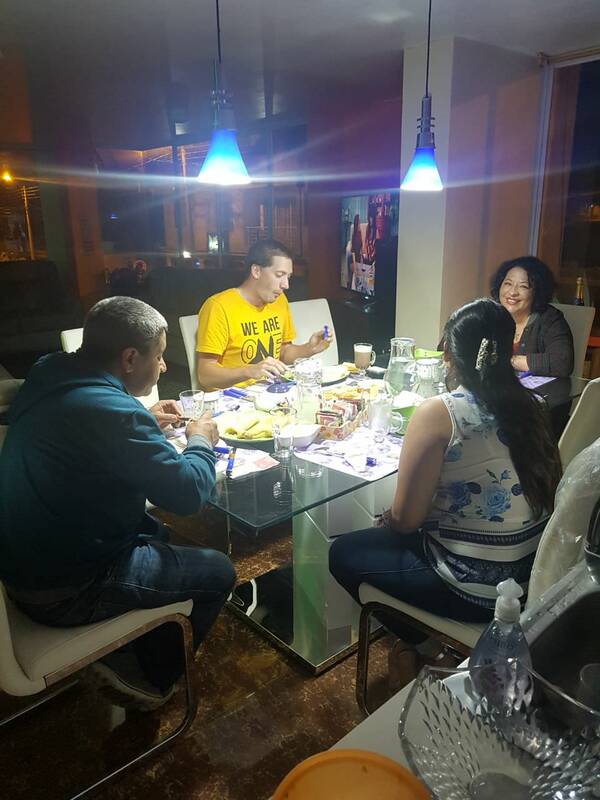 So once my Ecuafamilia found out about my plans to visit Ecuador, they were excited to be able to treat the brother of the people who treated their daughter so well. 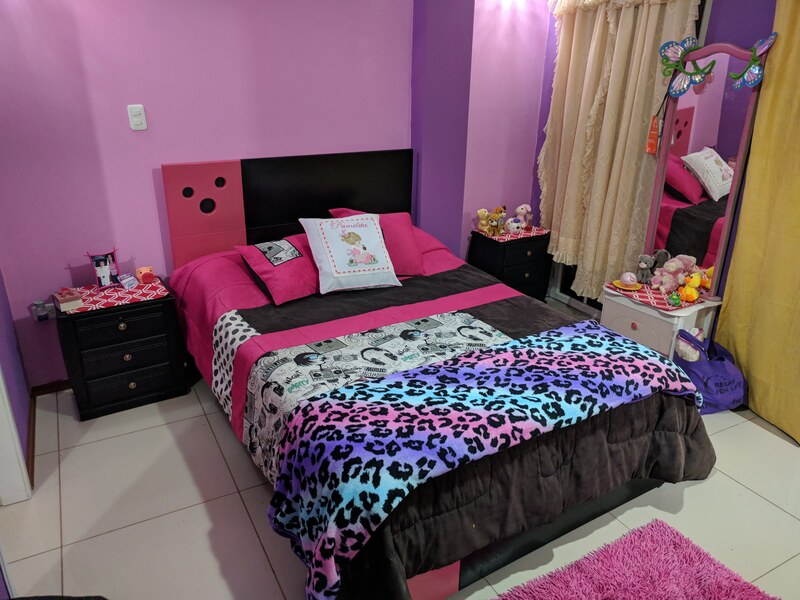 I heard that they had repainted the room where I was going to be sleeping, bought new furniture and even cleaned out an interior storage area for Annie to sleep. Even before my arrival, I felt sufficiently spoiled. I think that’s enough history, let’s get back to the story. When we last left off, I had just finished a 9 hour wait to cross the border from Colombia to Ecuador. I had some doubts whether I would be able to make it to the home of my hosts in Cayambe before sunset. 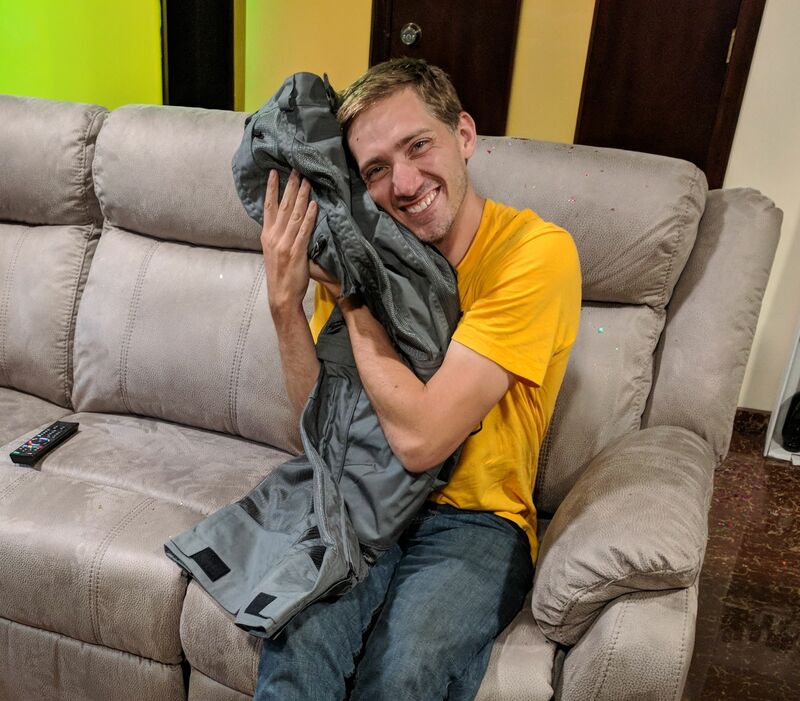 Shortly into Ecuador I put on my heated vest for the first time since northern Mexico. 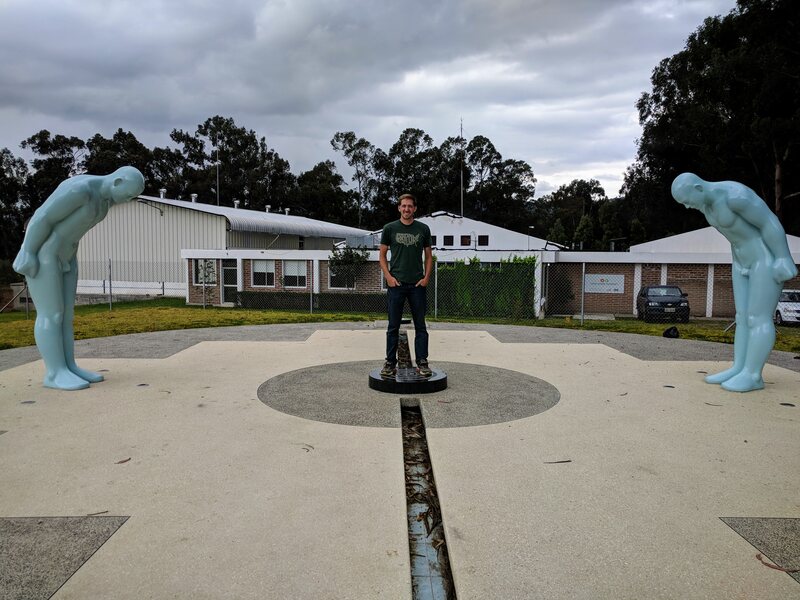 Just what you would expect so near to the equator, right? I was near 10,000 ft. of elevation and it was surprisingly cold. I had left my helmet cam running during my border wait, so I unfortunately don’t have any footage of the countryside. The views were great and the roads were wonderful. Even though I was cold and in a bit of a hurry, I really enjoyed myself. Our paths ended up meeting in the city of Ibarra. Apparently I drove right by them, but they started calling my phone and we eventually made a connection. They waved an Ecuadorian flag out the window as met in the parking lot. On the left are Rosita and her son Paoul. It would be with them that I would be staying. Next to me is Rosita’s sister, Gaby. She lives between Quito and Cayambe and would be part of many of our adventures. She is also the one with a car and she would be a huge help with transportation in the coming days and weeks. We made it to their place without incident, which required about an hour of riding after darkness. It was my first time riding at night since the day of the crash in Mexico. My entrance to their abode was punctuated with a hairful of confetti. Rosita's husband, Polito, is on the couch in the above photo. 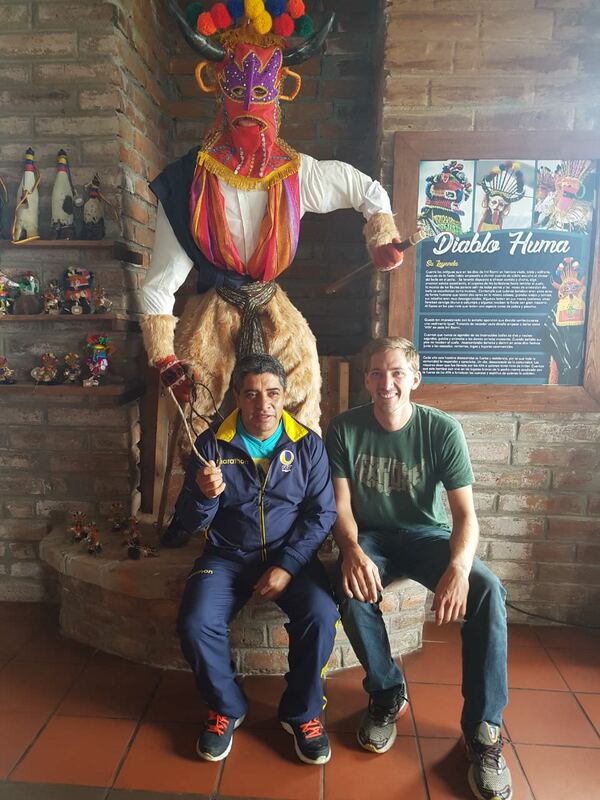 We had the first of many meals together, as I got a thorough workout for my Spanish. These days would feature the most Spanish that I've ever spoken. All things considered, it went fairly well. Only occasionally did we consult a phone to translate something that I did not know. One of the first things they did was give me my new motorcycle pants. 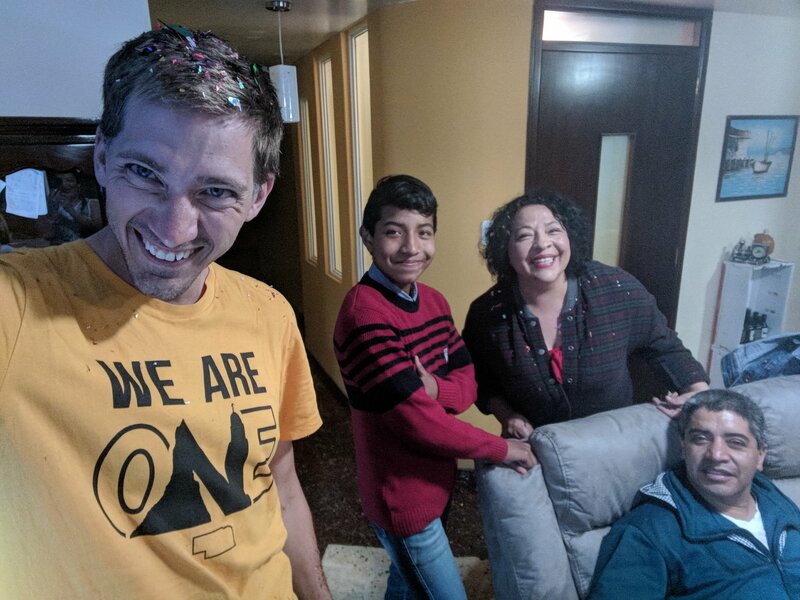 My Uncle had been in Ecuador for a mission trip in February and left them with my Ecuafamilia. We got right to sight seeing the next day. 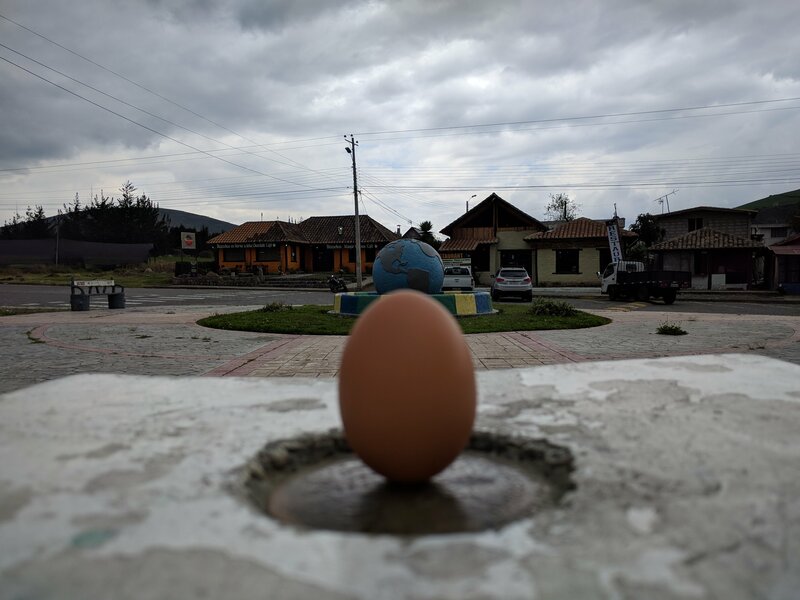 Cayambe is less than ten minutes from the equatorial line. 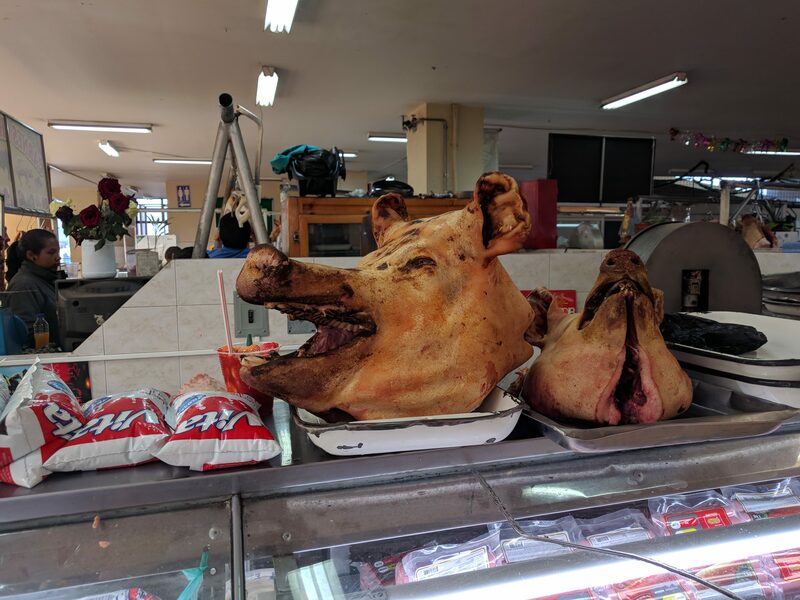 The price on pig’s heads was very tempting, but I just didn’t have the space. 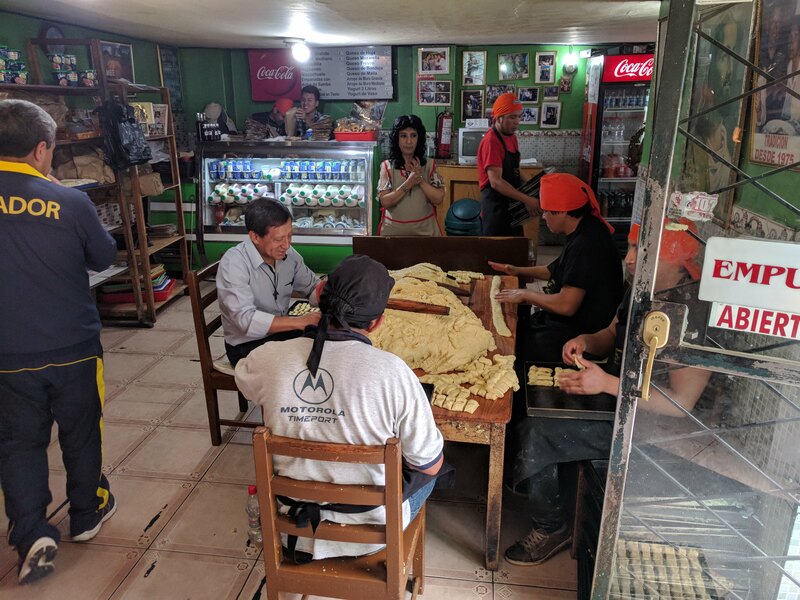 Cayambe is known for their “Bizcochos” which are sort of a pastry/biscuit concoction. They go great with coffee. 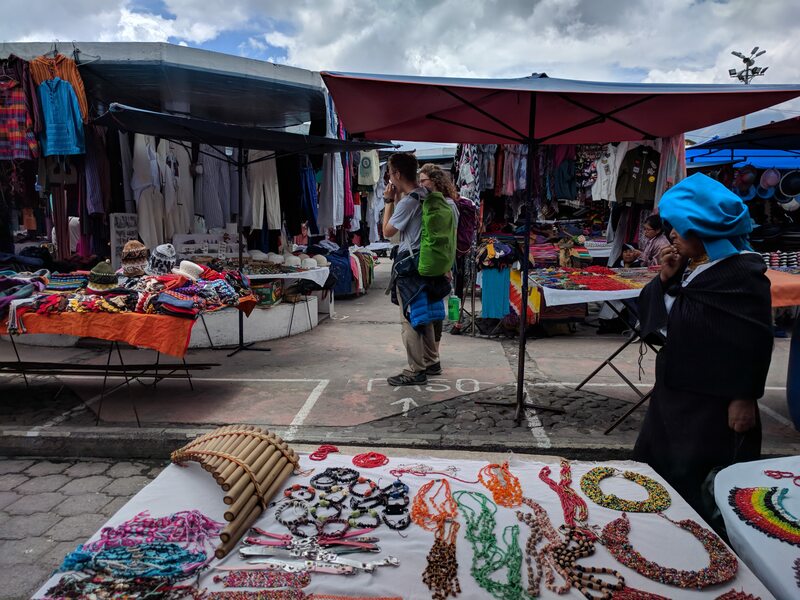 Cayambe is not a big city, but the number of places that sell bizcochos is staggering. We got to visit one of the “ovens” where they are made by hand. We took a day trip north of the city. First to see Lago San Pablo. 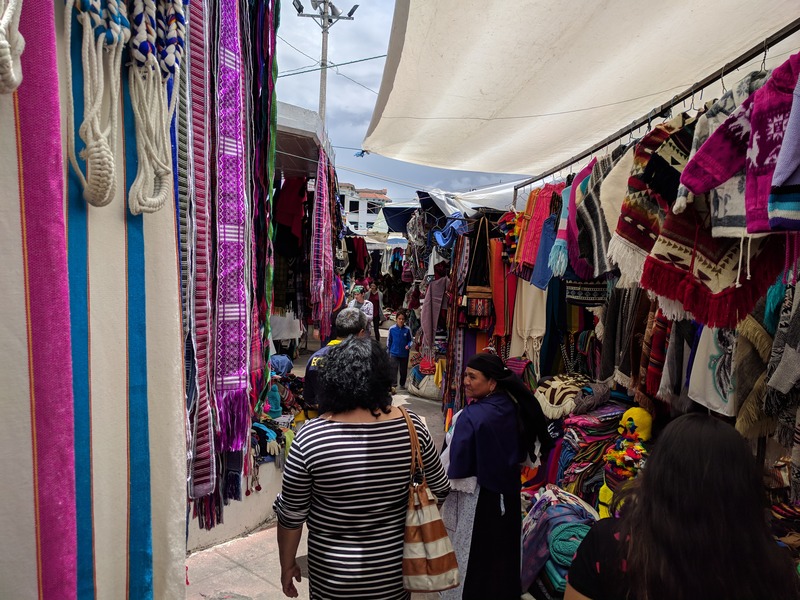 Then on to Otavalo, a little town packed with culture. The market there is the main attraction. In all seriousness though, I couldn’t believe what a blessing this family was to me. I had done nothing to deserve such royal treatment, other than being in the same family with wonderful people. (This is why one should always choose their family carefully.) 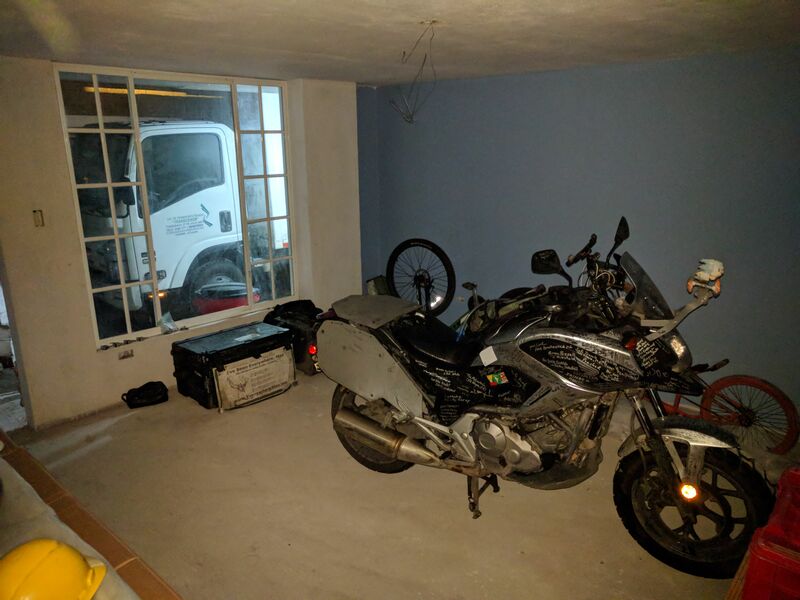 Knowing how important my motorcycle is to me, they even cleared out a storage room to give Annie a safe place to live while I was away. My flight to Cusco was at 2am and Gaby gladly gave me a ride. Parting with them was made easier by the fact that we would have more time together upon my return. This has made me think about the true intersection between feeling loved and feeling wanted. There have been many nights during this journey, while frantically searching for a clandestine tent spot, when I have felt quite unwanted; like I have to hide. 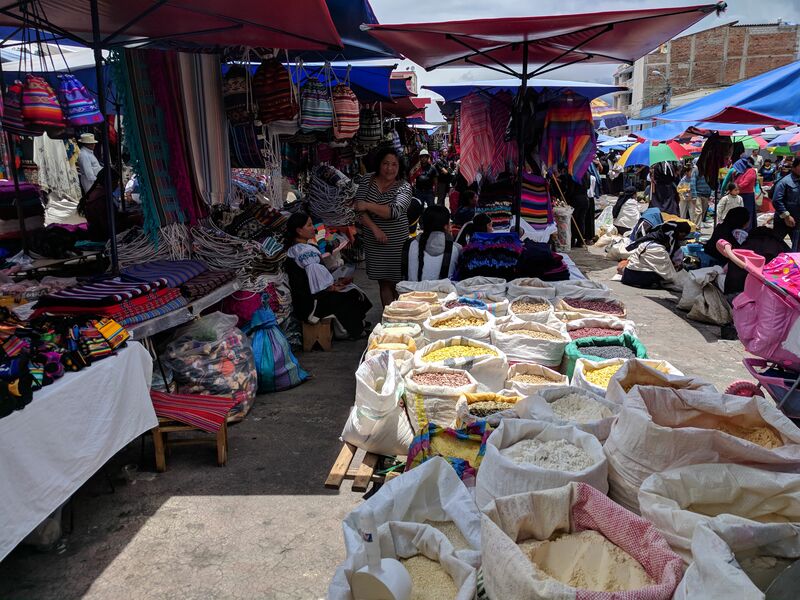 The experience with my Ecuafamilia could not have been a starker contrast. Though they did not know me at all, they made it perfectly clear that they wanted to do anything they could for me. I have scarcely felt more wanted in my whole life. I think I warned you that Rosita was a hugger/kisser. Glad you got the pants! This connection is all thanks to you! 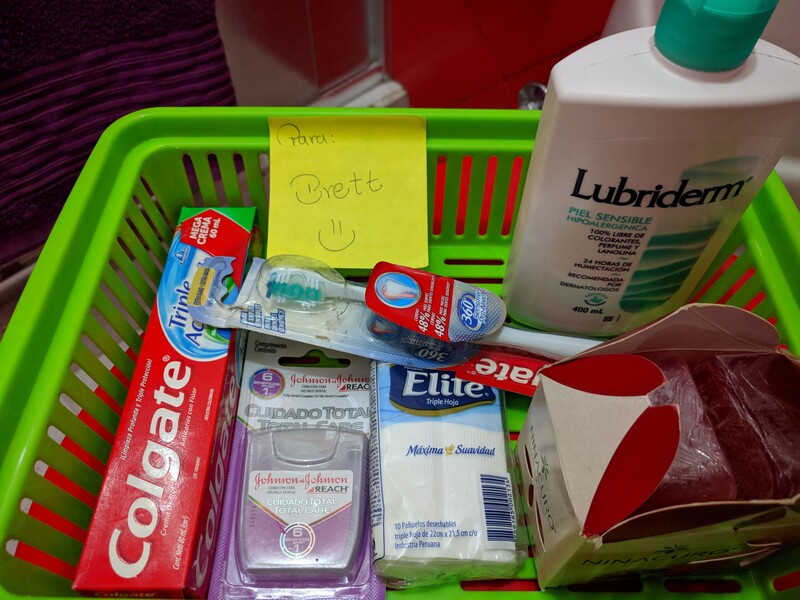 I’ve been meaning to write you a proper thank you…. It’s wonderful to hear that you are safe and enjoying a (hopefully) relaxing break from your busy adventure. Thank-you for an update. Always! It’s time to get caught up, so the word count is on the rise again. Great to hear from you Pame. I hope you can help translate some of this for your family. If I had more time I would have tried to write it in Spanish too so they could experience it as well. Thanks for being such an important part of this connection. I hope we will meet in person soon! My grandma keeps asking when this journey will end (I’m sure you have those feelings at times) because she is anxious and excited to read about it in book form. I swear, you are like celebrity status to her; I may have to start just printing off your posts and sending them to her! Ha! Yeah, I’ve already passed my “maximum” of ten months and I’ve got a long time to go. A book would have to be shorter than this account. I think it’s already too thick. As far as Mexico, I don’t think I will ever need an excuse to go visit there! Vamos Chiefs! It’s always a good idea to have a backup family, in case something goes terribly wrong with the first one. What a story! Elise’s description is amazing, and all the geographic and family connections just perfect. Equafamilia is a great word for it. Wait, Ecuafamilia! (either way, you’ve coined the perfect word). Love really does move in a circle. Or maybe many concentric circles. Yeah, I really reaped the benefits from this crazy connection. I feel so fortunate in so many ways. 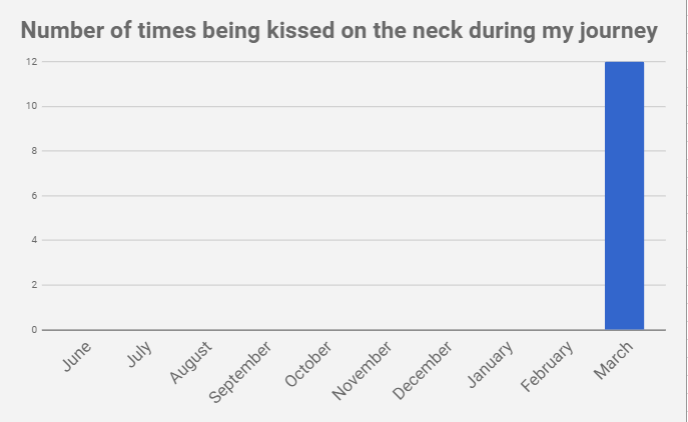 And I love how you graphically show that the kisses you received were off the chart!